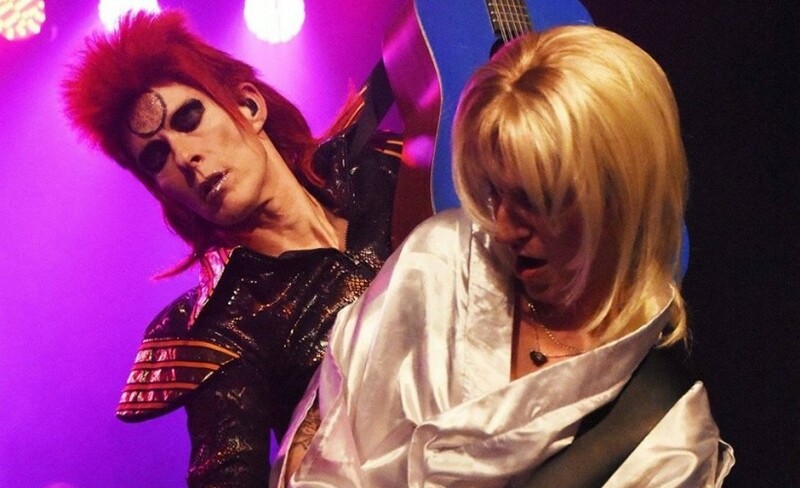 "Top bowie tribute the venue was disappointing told to leave straight after the performance"
Absolute Bowie is Europe’s finest David Bowie tribute act. Having travelled across the continent for the past eight years, the band have accrued a reputation for being able to encapsulate the enigmatic performances of the greatest rock and roll Starman of all time: David Bowie. Uncannily accurate and massive entertaining, the band are the favourites of true Bowie fans the world over. Be prepared for a journey into the weird and wild as the audience is invited to explore the many sides of the Bowies far out personas, from the psychedelic saviour of Ziggy Stardust to the glam rock madness of Aladdin Sane, the agonised romance of The Thin White Duke and the decadent dancefloor hits of the eighties. As the excitement building amongst fans, the demand for Absolute Bowie tickets is constantly growing so you will need to act fast and book yours before they all go. You can place your gig tickets order 24/7 using a tablet, computer or smartphone where ever you are; be it relaxing at home or busy and on the go. Make sure you catch them at Dryden Street Social in Leicester during October. Rescue Rooms at Nottingham and O2 Academy2 Birmingham in November and O2 Academy Newcastle this December. The following year sees them play at O2 Academy Islington in London during January and Norwich Waterfront in June 2019. We only have limited supplies of Absolute Bowie concert tickets available, so you will need to book yours before they are all gone. With ten years of experience giving excellent customer service, you can be sure of making a stress-free booking on your essential gig tickets with Gigantic.